In keeping with our history of innovation, James Dewhurst are very excited to announce the launch of our latest invention – our High-Performance Solution Range. In collaboration with yarn producer Teijin, using their Endumax® tape, James Dewhurst’s Technical team invented a range of highly abrasion- and cut-resistant fabrics. Please welcome our E700 and E1000 to the high-performance range of Dewhurst fabrics. Outperforming existing products in the aquaculture industry, our E700 and E1000 have already impressed key stakeholders within the industry. 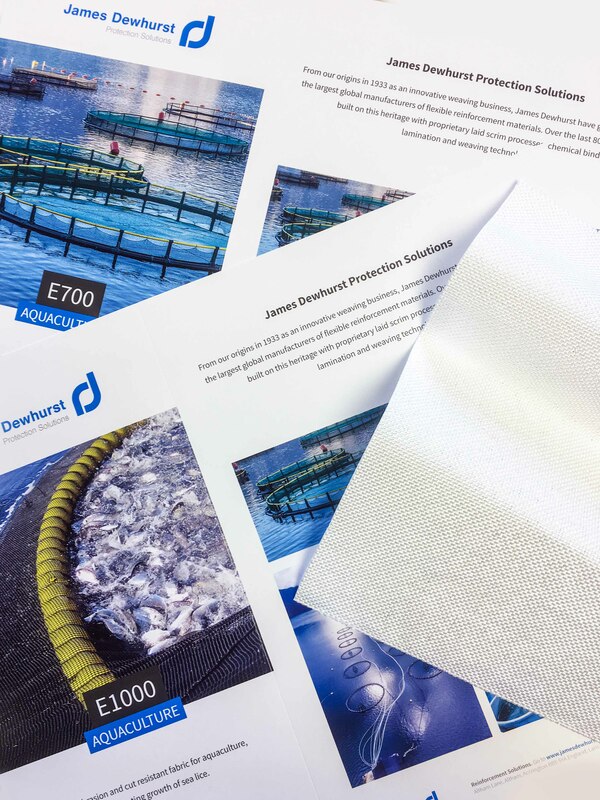 Extensive trials on fish farms and rope protection products concluded that James Dewhurst’s new textiles will be a major gamechanger, delivering endurance, longevity and cost savings to our customers. Our New Product Development Team is currently building on the success of the first commercial orders, showcasing E700 and E1000 at relevant industry tradeshow events, as well as seeking direct contact with forward-thinking companies in the aquaculture sector. James Dewhurst found a strong development partner in Norwegian chafe gear producer ProChafe. ProChafe’s innovative rope protection solutions demonstrate the outstanding performance of our fabrics in terms of abrasion- and cut-resistance as well as longevity for rope protection sleeves and chafe gear for onshore and offshore applications. Please contact us at npd@jamesdewhurst.com and follow us on our social media sites for further product updates.